What if we told you that we've found a flexible, affordable, GORGEOUS piece that is perfect for embellishing everything from candles to centerpieces to place settings to the wedding cake? 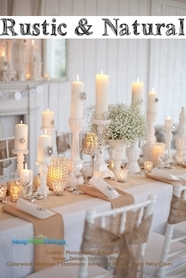 And that it works equally well with rustic chic and sleek modern wedding design? And that we have lots of them in stock in serious quantities, ready to take your next wedding to the next level, finishing off the details with polish and a little sparkle? 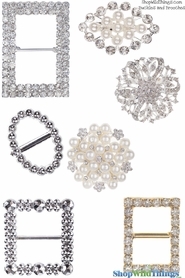 Well, meet our line of pearl and rhinestone brooches and buckles. Whether you're a wedding planner looking to build your stock of must haves, or a bride with a DIY bent and a talent for spotting the next fabulous thing, we know that you'll love these awesome little beauties for everything from cake tables (and cakes) to candles, and beyond. 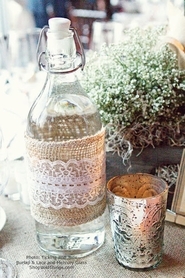 Add a brooch to a burlap wrapped candle holder, set it off with some glass votives, and you have a balance between natural neutrals and bling. A Burlap Table Runner anchors the tablescape while petite roses add a whimsical note ~ and a compelling fragrance. 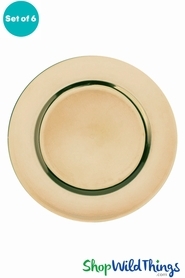 One of the best attributes of these brooches is that they combine flexibility with functionality. 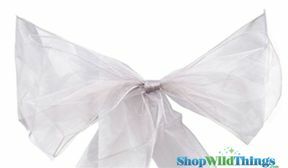 These diaphanous chair bows pair perfectly with brooches as accents, and you can repeat the geometric design in other key details for a pulled together look. We love the vintage feel of this brooch accented cake. If you're not fortunate enough to have access to Grandma's brooch collection, ours will substitute well. 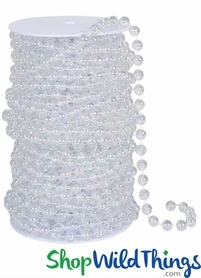 You can add Diamond Wrap and strands of beads and pearls as well for a look that will wow your guests. 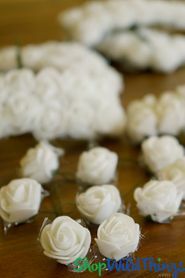 Or add a brooch to accent your bridesmaids' bouquet handles, we love this look and know that your guests will, too. Whether you're planning far ahead or are pressed for time, we can absolutely help you get the perfect accessories in your hands in time for your wedding. 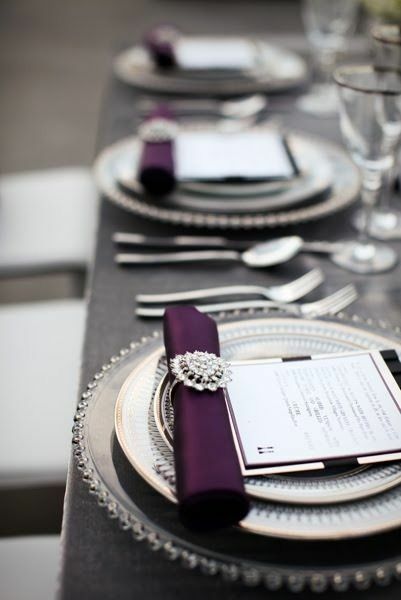 Call our expert customer service department at 928-855-6075, let them know what you need, or ask them questions and let them help you find the perfect wedding accessories. In addition to having a large warehouse ready to ship your order immediately, our customer service department can literally reach out and touch our products to help you find exactly the right ones for your next event.